Big livingroom, 2 bedrooms, 2 bathrooms, storageroom and big balconies! 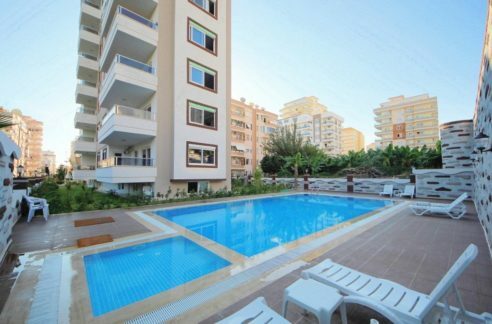 Here we offer a good opportunity to fulfill the dream of an apartment in a central location on the Turkish Riviera – whether for holiday or longer stay. 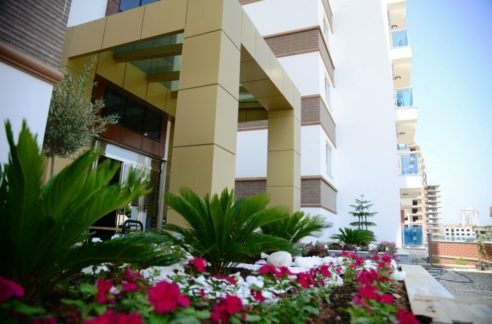 In the immediate vicinity you will find everything you need for daily use,retailers, banks, post office, pharmacy, doctors and of course, restaurants and charming local cafes. Great shoppingand bazaar twice weekly with the freshest fruits and vegetables from the surrounding area. Do you want sand between your toes, it is only 500 m from the beach. We have 15 apartments on different floors for sale (from 1st till 10th floor), you can choose what is the best apartment for you. On a living space of approx. 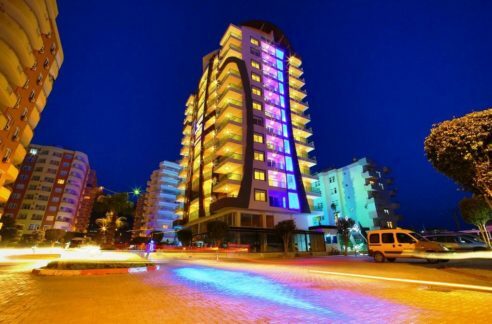 110-115 sqm are a living room with American style kitchen, 2 bedrooms, 2 bathrooms, storageroom, hall and 2 balconies. 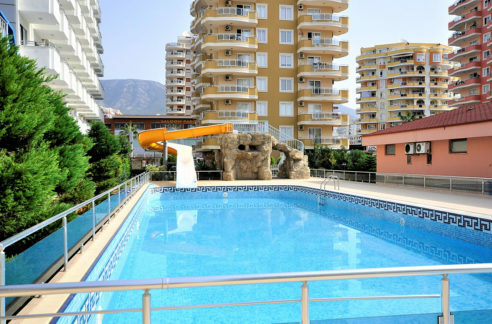 The apartments have Siemens white goods and air conditionings. 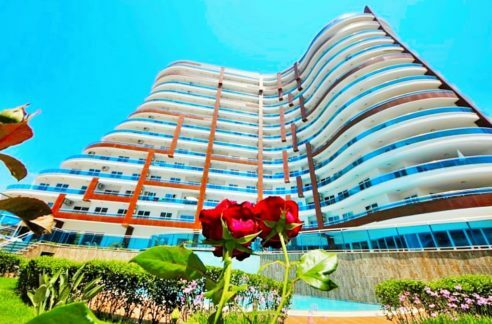 Feel free to make an appointment with us to get all information and see this apartments!